“Coping” doesn’t seem like a word one would need or use when talking about positive change, right? Well, interestingly enough, it seems that many, myself included, are thrown by change and it doesn’t seem to matter if it’s positive or negative. All it takes is one internet search to find tons of psychological and professional study commentaries, not to mention, lots of trendy blogs on the subject. 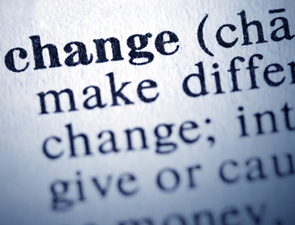 Humans resist change, and I’m no exception to that particular rule. I’m experiencing—and have been experiencing over this past year and a half—an amazing amount of transition and change. I am self-aware enough to know that my back going out on me three times this past year is directly related to that: leaving my safe, well-paid 4-weeks’ vacation job and launching a business was huge. And I’m starting to work on shifting the direction of my business and feeling the pressure of a big To Do list to make it all happen. (It’s early days with lots more planning/work to do so I’ll leave what’s coming for another day.) And last, but not least, I’m now engaged to the best man I know. These are ALL positive, wonderful changes, but it doesn’t stop me from constantly catching myself doing what I do when faced with big change: I go into avoidance mode. I always know when it’s happening because I’m either obsessively reading a book and neglecting all other things around me (it’s a fine line in identifying this … I am an avid reader after all) or I become very, VERY busy. I’ll find as many projects as possible or even one biggie and tackle it like lives depend on my successfully completing it. Either way, I’m super busy but getting nothing done toward the actual thing that needs doing. As I catch myself, once again, doing the avoidance dance, I realize that I’m just experiencing a normal, human reaction to change. And knowing that makes me think of Patanjali’s Yoga Sutras, specifically the concept of vairagya, or non-attachment. Practicing vairagya is to face something—even something positive—and not identify with it. The idea is to not become attached in order to avoid it coming to be part of the way you see or define yourself. All these changes I’m facing are positive, but they don’t define who I am … and remembering that is an important key to living through the changes with a sense of balance and equanimity. If I continue to identify with the changes, then I’m always reacting, in my case, avoiding. However, if I allow myself to enjoy the realizations and moments, but remember that they are only moments and I cannot hold them without inviting suffering, then I can have a larger view and bring myself back to center. It’s no different than practicing a difficult pose. We start out on the mat and our mind tells us we can’t. A couple breaths later, we realize we ARE. Whatever the changes we face, all we ever need to do is to lovingly bring our attention back to what needs our focus. When I do that, I remember that everything I’m doing, everything I’m working on is all to help improve my life, my fiancé’s life, and ultimately, the life of my community. It may require a lot of effort, but it’s all good. It also requires my attention and presence, which in turn calls for some will power and a whole lot of love and compassion. 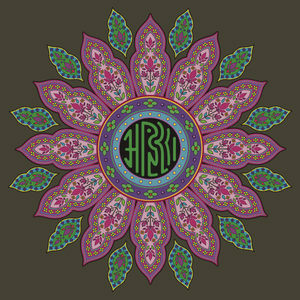 To this end, I’ve been increasingly committed to my mantra and compassion meditation practice. I’m finding it’s a great, simple, and loving way to bring my attention back without beating myself up for my first reaction of avoidance. I simply acknowledge where I am and what I’m doing and forgive myself. I then either recite Om Gam Ganapataye Namaha a few times in my head (or the 108 if I’ve time to sit with my mala beads) or I practice Metta or Karuna meditation for 5, 10, or 20 minutes as the day allows. This provides a way to detach from my overwhelmed sensation and reaction to the prospect of change and gives me a way to refocus my mind. I find this particular mantra, Om Gam Ganapataye Namaha, a powerful one. Essentially, it’s calling to our Root Chakra (Muladhara) energy so we can move through the obstacles in life. The muladhara chakra is the principal origin from which the manifesting energy of Shakti resides within each of us. When we awaken that energy, it helps us move through the Chakras with ease to activate a strong sense of self, express Divine love, communicate clearly, and connect with our intuition. 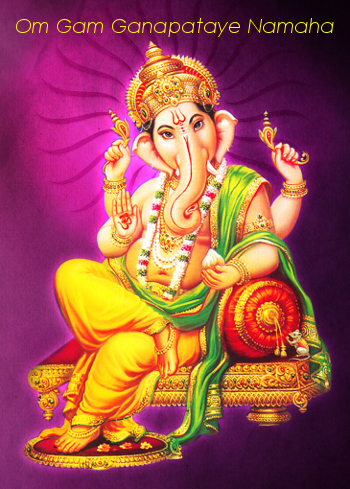 Importantly, we are also calling upon the powerful energy of Ganesh, the elephant-headed deity, who is widely revered as the Remover of Obstacles and the Lord of Beginnings. Makes sense to chant to him in the middle of large transitions, doesn’t it? Change is guaranteed to be constant. Ignoring it or becoming attached to the sensations or drama around change doesn’t serve us in any way and can sometimes be harmful to us, either mentally, emotionally, or even physically if we’re prone to behavior or habit that is more harmful than helpful. So, as I task myself to be loving and find compassionate ways to cope with change, I invite you to so as well. 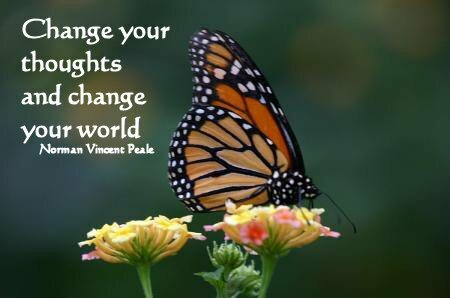 There’s no one way, but we all must find some means of coping with change that best serves our higher selves. Or else how are we to get through this change-fraught life? How do you cope with change, either positive or negative?